We all have varying tastes in hotels. Some like minimalist designs, while others like the grand trimmings of older hotels. Regardless of your preference, however, there are those that are bound to charm you just from the sheer tastefulness of their design concepts. 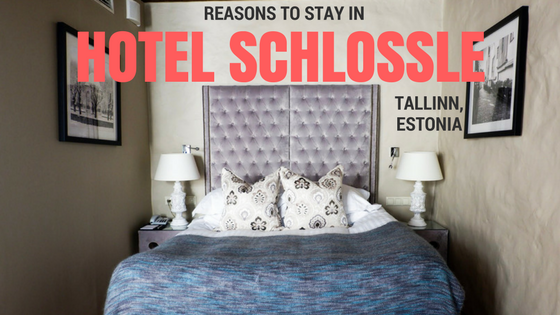 Tallinn’s Schlössle Hotel is one of those. 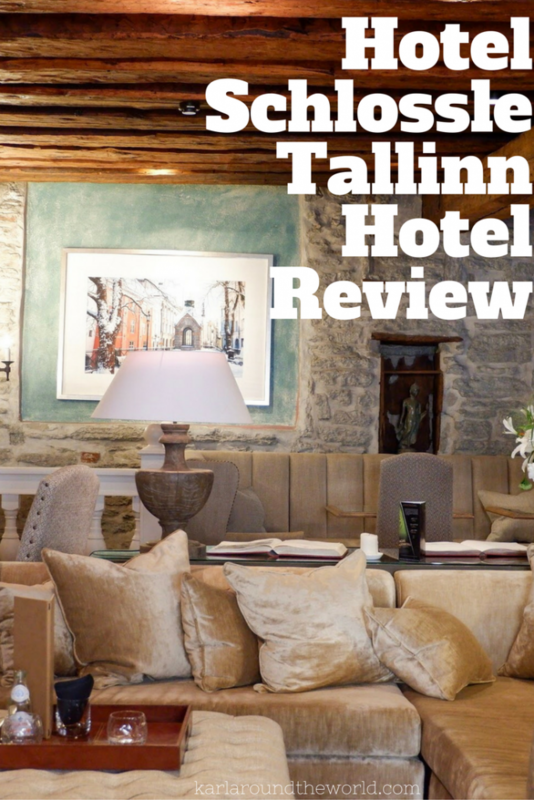 The hotel is considered one of the best in Tallinn, and in this pretty capital that’s saying something. 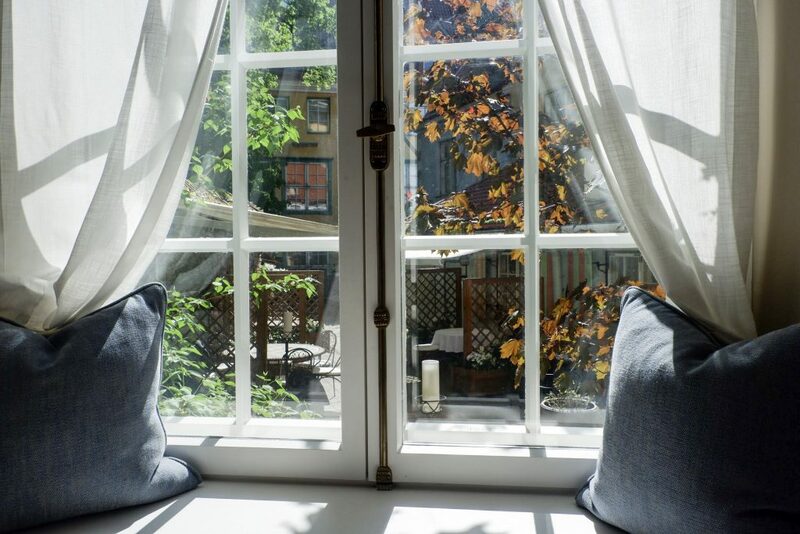 Nestled in the historical Old Town just like it’s sister hotel Hotel St. Petersbourg (and carrying a significant history of its own), Schlössle Hotel is located along the cobblestoned Holy Spirit Street. Around it are several buildings dating back to the 13th century! It was originally the storehouse of a rich salesman back in the 1300s. Hence, it is spacious and sturdy. 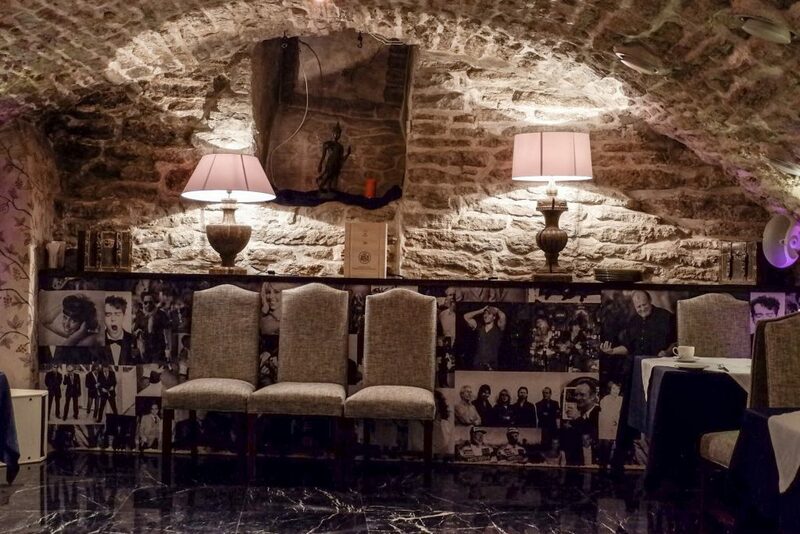 The structure has been renovated over the years (over time turning into lush living quarters), reaching the baroque-gothic architecture the hotel preserves today. And yet the hotel does not feel old at all. Instead, it exudes a feeling of warm grandeur. Simply stepping into the lobby confirms this. The hotel’s facade is simple and doesn’t stand out much from the brown stone of its surroundings. The biggest marker you will see will be the array of international flags over the entrance. Inside, however, the boutique hotel is decorated luxuriously. 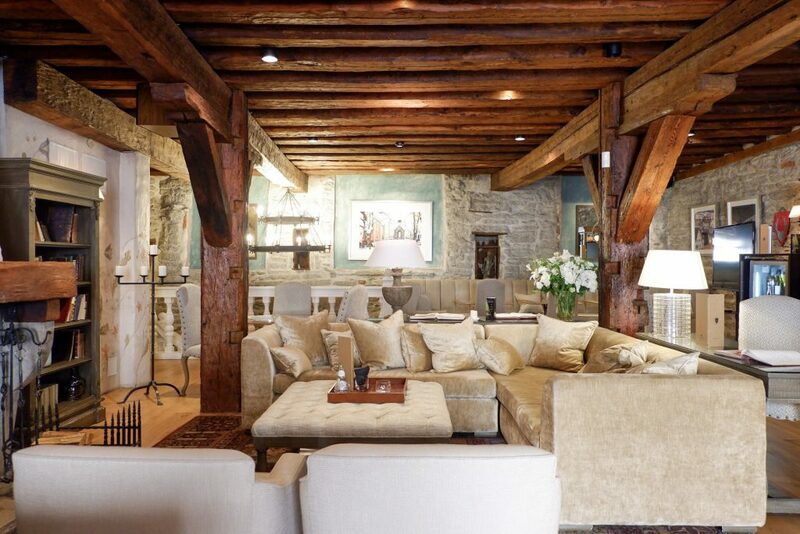 The stone walls go well with the antique trappings, and the huge beams and plush furniture evokes a grand welcome. 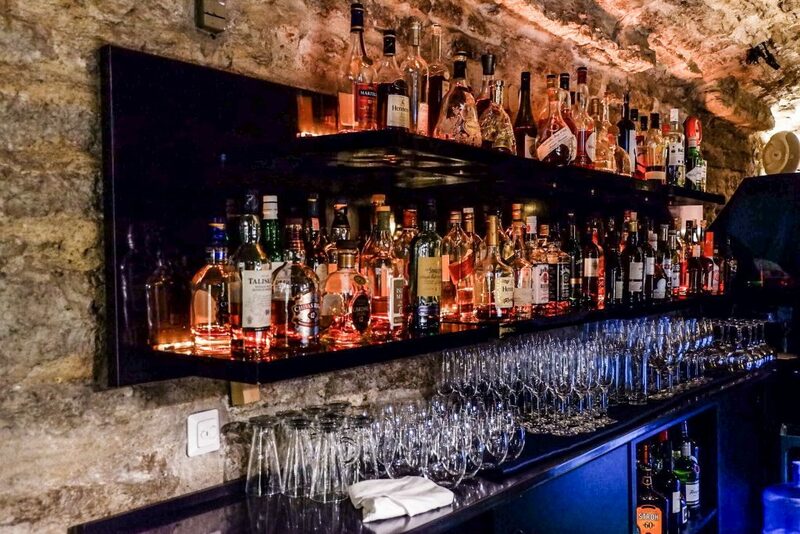 Exposed brick and vaulted ceilings would normally look claustrophobic, like something you would expect in a cellar or a monastery. But in here, it’s only one of the factors that add to the unique charm of the place. Wherever you look you know you are looking at a piece of history. Staying here is like staying in a work of art! 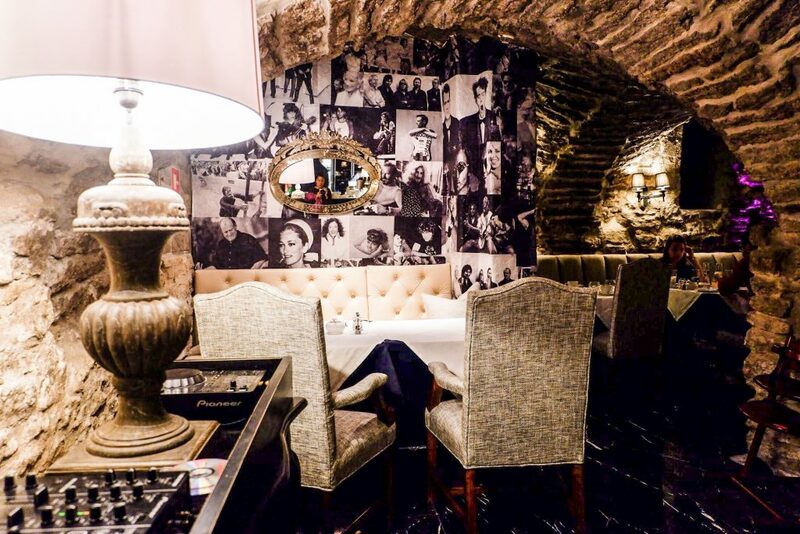 There are only 23 rooms in this 5-star hotel, giving it a feel of exclusivity. But not all of these rooms are of the same antique design as the outside. 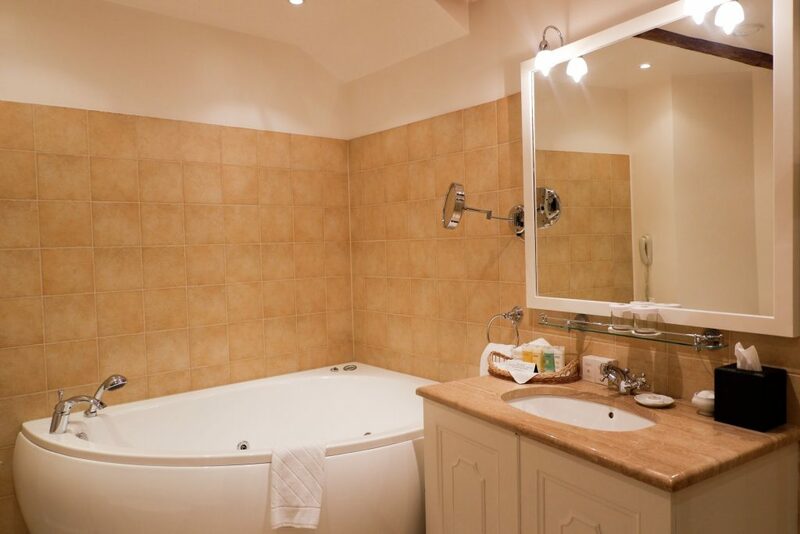 Their Classic Double Room, for example, is much like any other posh hotel suite. 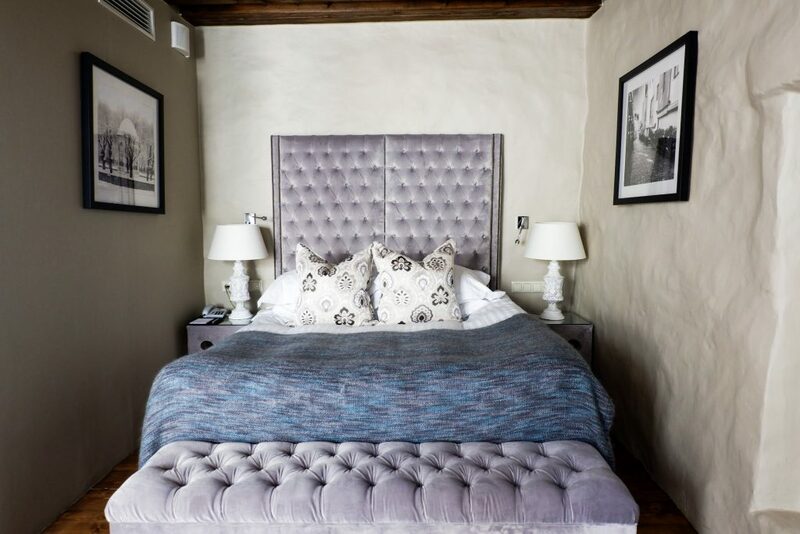 A queen-sized bed and windows overlooking the courtyard make for a delightful stay. Granted, the rooms are smaller compared to others but still you get sufficient space for your needs. You might want to think twice if you’re lugging around half your home on your travels. Because of the historic nature of the building, they cannot expand rooms to meet the space advantage of their competitors. Schlössle has all the standard amenities you would expect in a five-star hotel (saunas, jacuzzis, complimentary services, etc. ), and then some. Their staff are well-trained and courteous, and strive to attend to every guest’s need. They have some cool packages, too, that take their level of service to new heights! 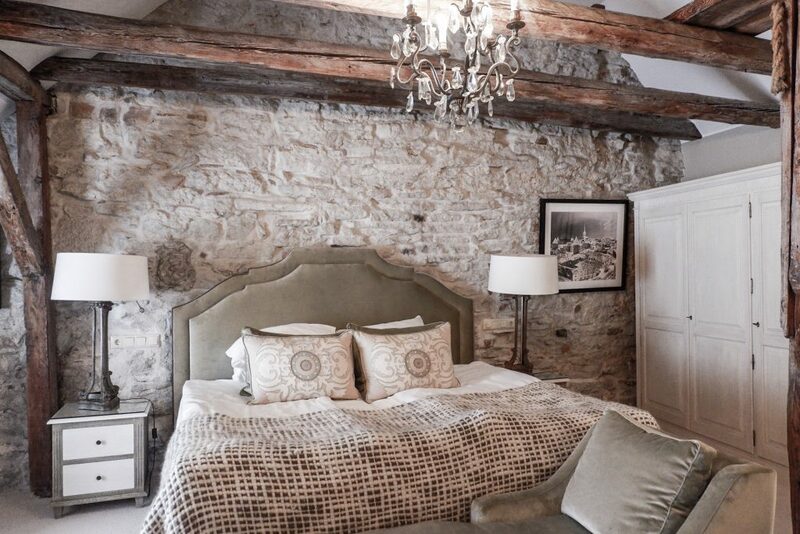 If you are travelling to Tallinn with your partner, for example, you can lodge at the hotel and take advantage of their Romantic Getaway package. 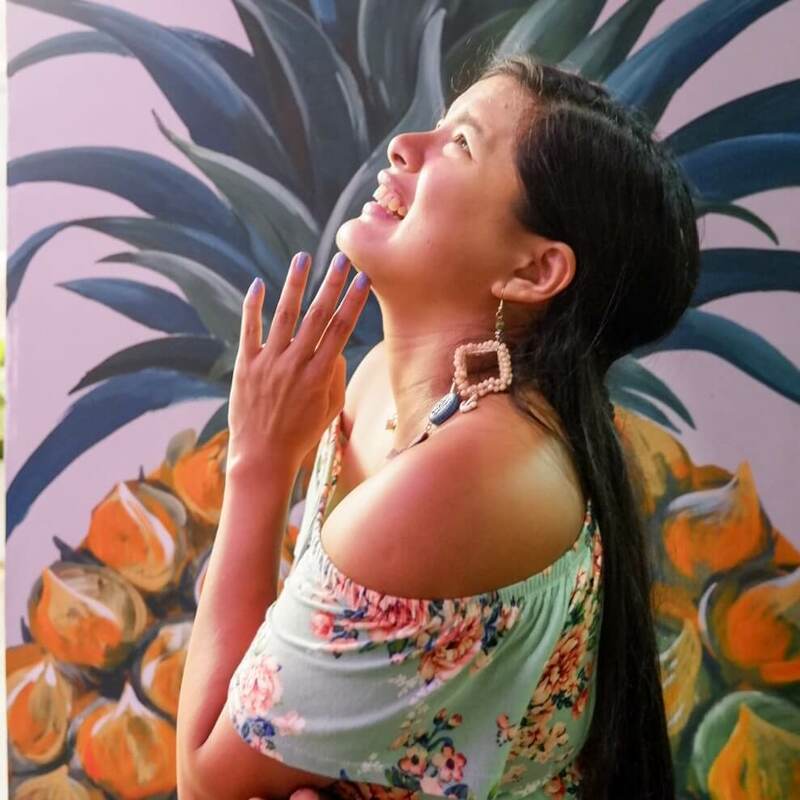 From a luxury transfer to a 3-course dinner with a bottle of Moet & Chandon and a full-course breakfast the day after, they have the perfect setup for a lovely vacation. If you would like something different, you may also check out their Grill Night every 6PM! In fact, their dining offers are also wide and varied. There are two places to eat here. On a clear day, you will enjoy the al fresco experience of the Summer Garden. Their desserts are lovely ⸺ make sure to have some! If you come here on a Friday or Saturday, you would also be entertained with their live music. 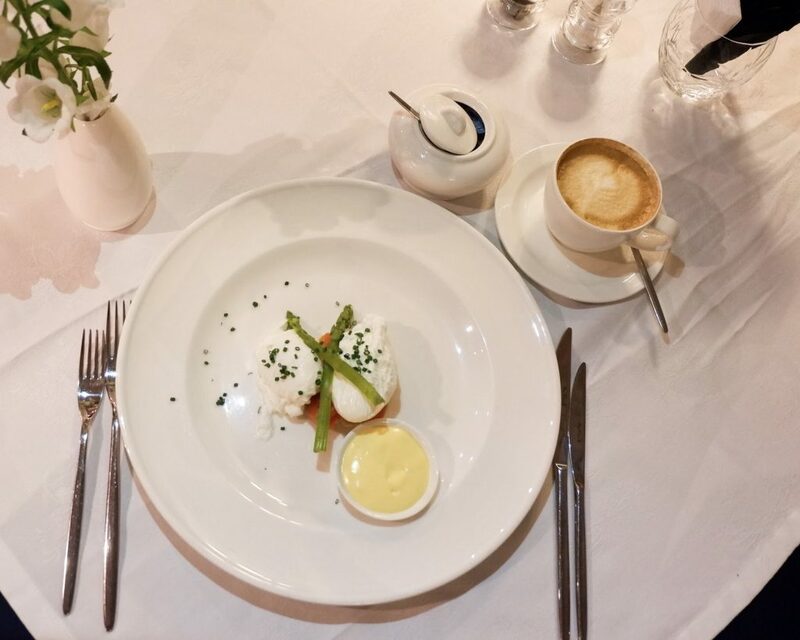 If you would like some gourmet, fine-dining experience, you can also check out Stenhus Restaurant, which also offers great Estonian (and other Nordic) food. Schlössle has a lot of things going for it. Its central location and unique design are certainly strong points. 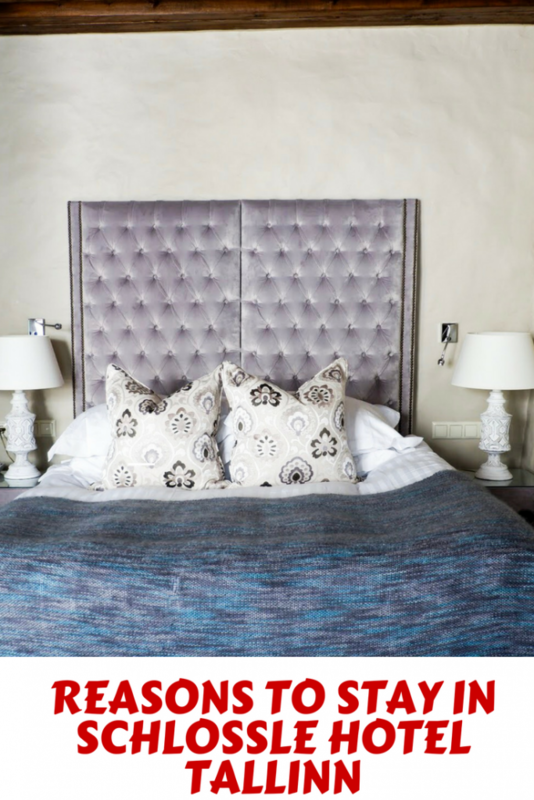 Indeed, most of its guests laud the one-of-a-kind atmosphere the boutique hotel has to offer. There’s a little catch here, however, since the hotel’s location does not allow for outside parking. If you brought a car, the hotel parking costs 25 EUR a night ⸺ pretty pricey for just leaving your car! But then there’s also the great service and packages, and the great food to entice you to come. Whatever you’re looking for in a hotel, it’s likely you’ll find it here. So give it a shot! If nothing else, the best parts of Tallinn are just outside your doorstep, and you’ll be ready to explore the wonders of Estonia in no time.